Insomnia, or difficulty either getting to sleep or staying asleep, is very common. In any one year, over 30% of the Australian population have difficulty sleeping for more than a month, and around 15% have problems sleeping most of the time. Insomnia, or difficulty either getting to sleep or staying asleep, is very common. In any one year, over 30% of the Australian population have difficulty sleeping for more than a month, and around 15% have problems sleeping most of the time. There are many reasons for difficulty getting to sleep or staying asleep, and it is important to have a careful evaluation with your doctor to ensure there are not associated medical conditions that are contributing to the sleep difficulties. Whilst friends and family will often advice those with insomnia to just ?get over it?, for the majority of people with insomnia, stress is not the cause of their insomnia symptoms. Of course, stress can worsen sleep, and needs to be addressed as part of treating insomnia, but insomnia commonly occurs as part of physical or mental illness and some people are just not good sleepers. 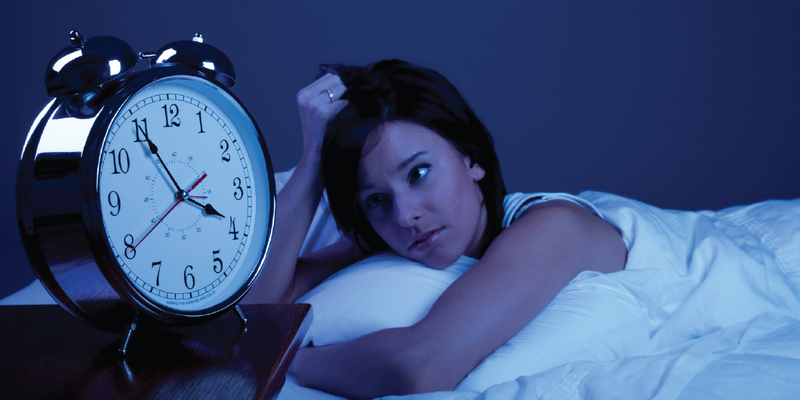 To effectively treat insomnia, underlying causes need to be found and addressed. This requires careful evaluation, which includes a detailed history by your doctor or sleep specialist, and review of a sleep diary, insomnia severity questionnaire and consideration of sleep hygiene issues. Other investigations that can be used in insomnia are actigraphy, a wrist watch-like device that records information on activity, light exposure and sleep to provide a very detailed sleep and activity diary, and a sleep study to exclude other sleep disorders such as sleep apnea or leg movements during sleep. What treatments are available for insomnia? Insomnia treatment combines changing behaviours and thoughts around sleep with drug treatment if needed. Using drugs alone is rarely successful and does not cure insomnia. Recent research has shown that long term improvements in insomnia are best when medications are used initially in combination with addressing behaviour and thoughts about sleep, but then gradually withdrawn rather than continued indefinitely. Despite this, some people will need ongoing treatment with drugs. The choice of drugs available is changing with newer drugs becoming available and being tested in research studies that should provide safe long-term treatments for insomnia. Cognitive-Behavioural Therapy (CBT), mindfulness and hypnosis can be used in conjunction with a thorough assessment, and supportive counselling, to improve sleep quality and regain a sense of control over sleep patterns. If you have a sleep problem that is interfering with your social, emotional, occupational or physical functioning it is advisable that you make an appointment with one of our sleep psychologists.